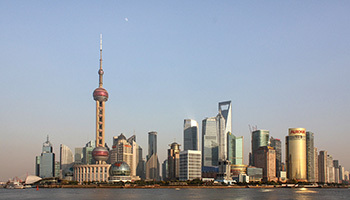 Shanghai is a start-of-the-art city with a soaring skyline. With a population of more than 24 million, Shanghai is China’s largest city and a hub of international commerce and culture. Once a fishing village and later, in the 1930s, a thriving port city and financial center, the Paris of the East, as it was known, declined in importance after the Communist Revolution of 1949. But starting with the economic reforms of the 1980s, Shanghai has been revitalized—symbolized by a state-of-the-art subway system, 10-lane roads and forests of construction cranes stretching skyward. The recently completed Pudong Shanghai Tower, rising 2,073 feet, is the second-tallest building in the world. Nonetheless, Shanghai’s rich cultural past still makes its mark on the city: in the architecture of the Bund—a stretch of remarkable pre-revolutionary buildings on the west bank of the Huangpu River—in the life of the side streets, the open-air markets and the historic neighborhoods of the French Concession. From the mid-19th century and for the next 100 years, Jews left their own marks on Shanghai, and Jewish heritage is experiencing a renaissance. In September, the community will commemorate the 70th anniversary of the liberation of the ghetto. After the opening of Shanghai in 1842 as a treaty port following the first Opium War, a wave of Jewish settlers—Sefardic Jews of Baghdadi origin—arrived. In 1845, Elias David Sassoon, son of trader David Sassoon of Bombay (now Mumbai), opened a branch of the company, later set up his own E.D. Sassoon & Co., and settled in Shanghai. Over time the family, its clerks and managers (who were often relatives) branched out into their own businesses, building an empire based on import and export in tea, silk, cotton and opium. Real estate magnate Silas Aron Hardoon, who moved to Shanghai from Bombay in 1868 as a Sassoon employee and rose through the ranks, developed numerous properties along Nanjing Road and was once known as the richest Jew in the Far East. Brothers Ellis and Elly Kadoorie also started with the Sassoons, then founded their own companies, in banking, rubber plantations, utilities, real estate and hotels. By the beginning of the 20th century, the Jewish population was around 1,000. The second wave, this time of Ashkenazic Jews, emigrated from Russia via Siberia and Harbin in China, fleeing pogroms and later the internal uprisings that culminated in the Russian Revolution. They built up textile and retail businesses and established their own cultural institutions, including the Shanghai Jewish Club in 1932. 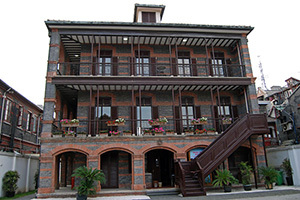 The Ohel Moshe Synagogue, founded by Russian Jews in 1902 in rooms provided by a Sefardic synagogue, was built in 1927 in the Tilanqiao district and exists today as part of the Shanghai Jewish Refugees Museum. 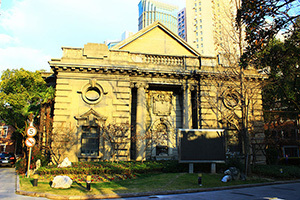 A second synagogue, the New Synagogue, was built in the French Concession area in 1941 and served the community into the post-World War II years. By the time the third wave arrived between 1933 and 1941, the Jewish population numbered around 5,000 with numerous thriving institutions: boy and girl scout troops, B’nai B’rith, the Shanghai Volunteer Corps and the newspaper Israel’s Messenger. The last and largest wave of Jews were refugees from the Nazis. Augmented by their numbers, by 1945 Shanghai’s Jewish population swelled to more than 30,000. In Vienna, Chinese Consul-General Ho Feng-Shan enabled the departure of thousands by issuing visas to anyone who requested them. As a treaty port, Shanghai was open to anyone who could reach it. Jews traveled overland through Russia and Siberia and by ocean liner from Trieste, Naples and Genoa, Italy, then through the Suez Canal into the Indian Ocean and over to China’s eastern coast. They came with the clothes on their back, a suitcase and limited financial resources. At first, refugees settled throughout the city. But Japan, which extended military control over all of Shanghai in December 1941, decreed in February 1943 that all who had come to Shanghai from Europe since 1937 were to live in a Designated Area for Stateless Refugees—what became the ghetto—in the Tilanqiao area, already crowded with Chinese. Although Jews could still move around the city, they had to pass a Japanese exit control. While there was poverty and hunger, a rich social life developed in this neighborhood known as Little Vienna, with its theater groups, cafés, sports teams and youth groups as well as newspapers in German, Polish and Yiddish. Small businesses sprung up to meet the community’s needs. Life was hard, but the city’s Jews escaped the Final Solution: When Colonel Josef Meisinger, chief representative of the Gestapo in Japan, proposed a variant scheme for Shanghai, the Japanese refused and eventually established the ghetto. During this difficult period, the Kadoories and Sassoons along with other established Shanghai families provided extensive financial help and personnel, as did the American Jewish Joint Distribution Committee. Among the institutions they supported were the Shanghai Jewish School, the Shanghai Jewish Hospital, soup kitchens, kindergartens and the Ward Road Heim, where some 1,000 refugees lived. Some of the Sefardic Jews, who were predominantly British citizens, fled Shanghai as the Japanese noose tightened. Others were less fortunate. Elly Kadoorie was interned in a Japanese prison camp for foreign civilians and died in 1944. After the war, most Jews left for other countries to rejoin surviving family members; the exodus accelerated with the founding of Israel in 1948, the escalating war between Chinese Nationalists and the Communists and, in 1949, with the establishment of the People’s Republic of China. By 1960, fewer than 100 Jews remained. Current estimates put the Jewish community, which is made up of expatriates from Israel, the United States, Australia, Europe and Latin America, at around 2,000. While some Jews have been in Shanghai for years, others are businesspeople, students and families who reside for more limited periods of time, all throughout the city. The Shanghai Jewish Center, the Chabad Jewish Center of Pudong and the Intown Jewish Center are affiliated with Chabad. 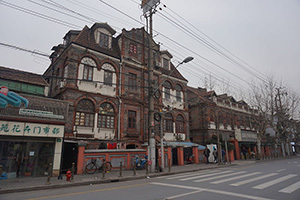 The four-story Shanghai Jewish Center (87 South Shui Cheng Road in the residential Hong Qiao area west of the Huangpu River) houses a synagogue, mikve (women tourists are welcome), school, kosher café and grocery store. The café serves a light dairy lunch and in the evenings a kosher Chinese and Western dinner; take-out meals are also available. Friday-night Shabbat services are followed by a community dinner (made advanced reservations). The smaller Intown Jewish Center (233 Wuding Road in the downtown JingAn district) offers Shabbat services followed by kosher meals, has a minimarket and runs various education programs. Across the Huangpu in eastern Shanghai, the family-friendly Chabad Jewish Center of Pudong (2255 Luoshan Road) boasts a synagogue where services are led in English, a Hebrew school and adult education classes and provides some meals by reservation. The Shehebar Sephardic Jewish Center (1000 Gubei Road), whose rabbi is the community shohet, holds services and provides kosher food. Four-year-old Kehilat Shanghai, which draws members from across the denominations, runs programs including discussions and Shabbat dinners and brings in a visiting rabbi for Passover and the High Holidays. Moishe House (358 West Huaihaui Road) creates programs from Shabbat dinners, happy hour drinks and barbecues to lectures and retreats for young Jewish professionals. Only two of the pre-World War II synagogues remain: Ohel Moshe, now part of the Shanghai Jewish Refugee Museum, and Ohel Rachel Synagogue (500 North Shanxhi Road), which belongs to the municipal government and has restricted access. Ohel Rachel served the Baghdadi community and was named in honor of Sir Jacob Elias Sassoon’s deceased wife, Rachel. The sanctuary, with its overhanging balconies and marble pillars flanking a walk-in Ark that once held 30 Torahs, seats 700 people. The Jewish community, which has worked to restore it, is permitted to hold services five times annually: the High Holidays, Hanukka, Purim, Yom HaShoah and Passover. Check with the Shanghai Jewish Center for details since security is tight and reservations required. An additional note: Chinese government regulations are such that only foreign passport holders or foreign residence permit holders can attend services here and at other locales. The Hongkou District People’s Government has focused on redeveloping key sites from the Jewish refugee experience of the 1930s and 1940s in the Tilanqiao area. The renovated brick Ohel Moshe (62 Changyang Road) sits at the center of the Shanghai Jewish Refugees Museum. The simple sanctuary is on the first floor while the two upper floors house exhibits and a refugees’ database. On the second floor, where women traditionally sat, look for the photo of Sophia Rosen, who celebrated her bat mitzva here in 2010. Two exhibition halls across the inner courtyard feature letters, Western Union telegrams, negative strips hanging from the ceiling, photos, residence cards and passports as well as a film about refugee life. Engraved on the copper wall running along the outside of the museum are 13,732 names of Jews known to have taken refuge in Shanghai. The wall culminates in a life-size sculpture by Chinese artist He Ning of six Jewish refugees symbolizing the six million Jewish Holocaust victims. The latest plans for the neighborhood include inscribing it in the Unesco Memory of the World Register, renovating the American Jewish Joint Distribution Center (119-121 Houshan Road) and re-creating the Weiner Café Restaurant, which is expected to open soon. In the collections of the Shanghai History Museum (at the base of Pudong’s Oriental Pearl Radio & TV Tower) see the reproduction of Russian Jew Gregori Klebanov’s Siberian Fur Store and a model of Hardoon Park, originally designed as a private park by the Jewish magnate Silas Aaron Hardoon. At the remarkable multistory Shanghai Urban Planning Exhibition Center examine the changing face of the city through replicas, then-and-now photos of old Shanghai, master development plans and the floor-length scale model of downtown Shanghai. The small Peace Museum (mezzanine of the Fairmont Peace Hotel on the Bund) has memorabilia dating back to the grandeur of the 1930s when it was the renowned Cathay Hotel and a centerpiece of Sir Victor Sassoon’s real estate empire. Playwright Noel Coward wrote a first draft of Private Lives here in 1929, and both locals and visiting celebrities came to eat its legendary food and enjoy its orchestras, concerts, tea dances and balls. Sassoon kept an 11th-floor suite as his downtown pied-à-terre. Tack onto your visit (advance booking required) a heritage tour of the building or a high tea tour and dine in the Jasmine Lounge. Many sites were once part of Jewish Shanghai: the Shanghai Zoo (2381 Hongqiao Road, Changning District) sits on the Sassoon estate; the Shanghai Exhibition Center on West Nanjing Road was part of Hardoon Garden; Sir Elly Kadoorie’s opulent home known as Marble Hall is now the arts-oriented Shanghai Children’s Palace. The nearly quarter-mile long Embankment Building (340 North Suzhou Road) along Suzhou Creek was built by Victor Sassoon in 1933 for his employees and, at one time, was the largest residential building in Asia. Its ground floor once served as a reception center for Jewish refugees. Other remnants of the Sassoon realty empire include the massive Art Deco Cathay Mansions and Grosvenor House (59 Maoming Road S; now the Jin Jiang Hotel) and the Cathay Cinema, which opened in 1932, seated 1,000 and screened American films (870 Huaihai Zhong Lu). 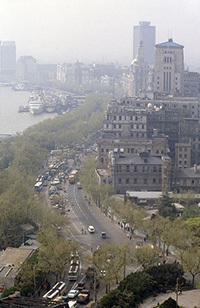 On the Bund, the AIA building (No. 17) houses the life insurance group that traces its history back to American Jew Cornelius Vander Starr, who opened American Asiatic Underwriters on Nanjing Road. What does not exist anymore, however, are Jewish cemeteries. These have disappeared and the gravestones shattered and scattered. A discussion of their history as well as ongoing work to retrieve some of the stones can be found at the website The Lost Shanghai Jewish Graves. W. Michael Blumenthal, former United States secretary of the Treasury and director of the Jewish Museum Berlin, lived with his family in Shanghai when he was a youth, after they fled Nazi persecution, as did pop artist Peter Max (born Peter Max Finkelstein). British adventurer Morris “Two-Gun” Cohen served as the bodyguard and aide-de-camp of Sun Yat-sen. Cohen commanded Chinese troops, fought against the invading Japanese and worked for British intelligence. The Russian Jewish composer Aaron Avshalomov, who relocated to the United States in 1947, incorporated many elements of Chinese music into his work. He lived in China for more than 20 years and, in Shanghai, served as the municipal library’s head librarian. In 1943, he was the conductor of the Shanghai City Orchestra. The Jews in Shanghai (Shanghai Pictorial Publishing House), edited by Chinese professor Pan Guang, is a black-and-white chronicle of the community’s beginnings with the Sassoon family through the 1990s, when Holocaust refugees made return visits. Daniel Kalla’s The Far Side of the Sky and Rising Sun, Falling Shadow (Forge Books) fictionalize refugee life in Shanghai during the 1930s and World War II. The documentary Shanghai Ghetto explores refugee life through photos, stock film footage, interviews with elderly survivors and a visit to the Tilanqiao neighborhood. Dvir Bar-Gal offers half-day tours of historic Jewish Shanghai. Close to the Shanghai Jewish Center are the gated Hong Qiao State Guest Hotel, which has catered to foreign dignitaries, and the Grand Millennium Shanghai HongQiao, with its delightful garden. The centrally located Portman Ritz-Carlton is near shops, sights and restaurants (none of them kosher). On the Bund there is the Fairmont Peace Hotel and the luxurious Peninsula Shanghai, a Kadoorie hotel and the Bund’s first new building in decades. The Kerry Hotel is within walking distance of the Chabad Jewish Center in Pudong. Most travelers take taxis, which are easy to hail and inexpensive. Be forewarned: Drivers do not speak English, so it is essential to have all destinations written out in Chinese characters. If you are adventurous, the extensive color-coded Shanghai Metro trains are fast, cheap, clean and easy to navigate since signs and announcements are in English as well as Chinese. Shanghai’s unique role during the years of the Nazis is being heralded, once again, as the world marks the 70th anniversary of the end of World War II. Interesting article. My family and I have been living in Shanghai for 13 years. Our daughter was Bat Mitzvahed at Ohel Moshe. It was the first rite of passage celebrated in that synagogue in 60 years. Happy to share more (and I live down the street from Ohel Rachel). Thank you!